At Entrepreneur First, we believe that entrepreneurship — setting out to build the world’s most important companies—is the best career path for the most ambitious individuals. But at EF, we believe you don’t need to have a co-founder or an idea to get started in entrepreneurship — in fact, we think we can help people form better teams, more quickly, than they would organically. The way we do this is through a programme we now call EF Form, which helps individuals form their optimal co-founding team, with a shared passion and complementary skills. We bring together a diverse group of the smartest, most skilled, and insightful individuals we can find — all committed to co-founding a company. We help each individual start working with a promising match — and to break up when it’s not an optimal pairing, to re-form with someone else. We help the co-founders zero in on the core insight that drives their business — the unique way they will solve a problem for their target customers. EF Form is the very heart of what we do at EF, and currently runs twice a year in London and Singapore. And it works: with each cohort, we see dozens of exciting companies, with bold visions for the future, start from scratch. During EF Form, a cohort of about 100 individuals (or currently 50 in Berlin) come together and work at EF offices to create companies from scratch. From over 1,000 applications, these individuals have the traits shared by successful founders: they are very smart, have skills relevant to starting a company, have unique insights about a field, and actually want to become entrepreneurs. An overview of the startup journey, venture capital, and themes we’ve observed working with hundreds of teams over 10 cohorts. Techniques to form an exciting company, faster. These include how to: pick the best co-founder, gain a deep understanding of customers’ needs, communicate well, giving and receiving feedback, and develop the core, differentiated insight that will drive your company. Plenty of time— structured, and unstructured—to meet the fellow members of the cohort, and create a “shortlist” of potential co-founders. Once the full-time programme begins, the focus is on team building. We encourage individuals to go through their shortlist, and to have candid conversations with cohort members about their passions and what they are looking for in a co-founder. When it “feels good,” we suggest teams just get started—a strong team is a team that is productive together. If, after working together with your co-founder, you find it’s not working optimally, it’s totally OK to break up. Indeed, this is actually celebrated on Form, where there’s a large pool of other co-founders also looking for their optimal partner. To make it even easier, we check in with everyone on the cohort regularly, giving them our own candid observations of the team from years of experience. In this way, teams come together, break apart, and recombine until things settle down at the end of team building (approximately 8 weeks in). At this time, teams that have successfully formed legally incorporate a company, with EF receiving a 5% stake in that company. A stipend to cover living expenses, opening up entrepreneurship to a more diverse set of individuals. A shared working space, where your team can work, socialize, and bounce ideas with the rest of the cohort. Access to the collective experiences and learnings of hundreds of founders who have gone through EF in the past. A series of talks covering the key logistical and strategic questions you might have, from tax to vision setting to fundraising. In this way, after about 3 months working together, most individuals who came in without a co-founder or idea now have both — they have a company — and a much better sense of their future paths as entrepreneurs. At the end of EF Form, teams have a company and a vision. But they usually don’t yet have a business: they don’t have (many) initial customers and they (usually) don’t have a working product. For the typical high growth company created on EF Form, getting to the next stage requires initial investment, continued mentorship, and, eventually, a seed round from institutional, venture capital investors. For these companies, we have a second phase available to selected teams: EF Launch. At the end of Form, teams pitch to enter the second phase, explaining their story and the “proof points” they have accumulated to back up that story. For teams that we think need — and have a good chance of raising—a seed round, EF makes an initial investment into the company (in London and Berlin, £80K for an additional 5% stake) and continues to provide mentorship and support in building the business. Advice and support in interpreting investor feedback, evaluating term sheets, and more. And the journey doesn’t end there: EF contributes to the seed round for teams on Launch, and we continue to work with teams that successfully raise a round. Get started — without a co-founder or idea! EF is committed to helping the most ambitious people on their path to creating the world’s most important companies — from before they even have a company, to when they’re looking to turbo-charge their business. If you’d like to begin your path to entrepreneurship, don’t wait for a co-founder or idea to find you: apply now! 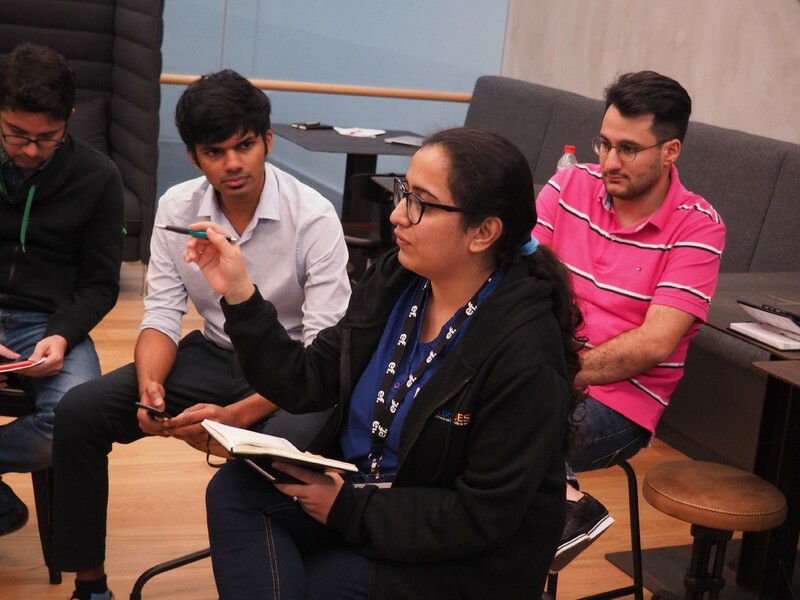 We currently run programmes in Berlin, Singapore and London, you can apply here or sign up below to get advice from the EF team on your startup journey. 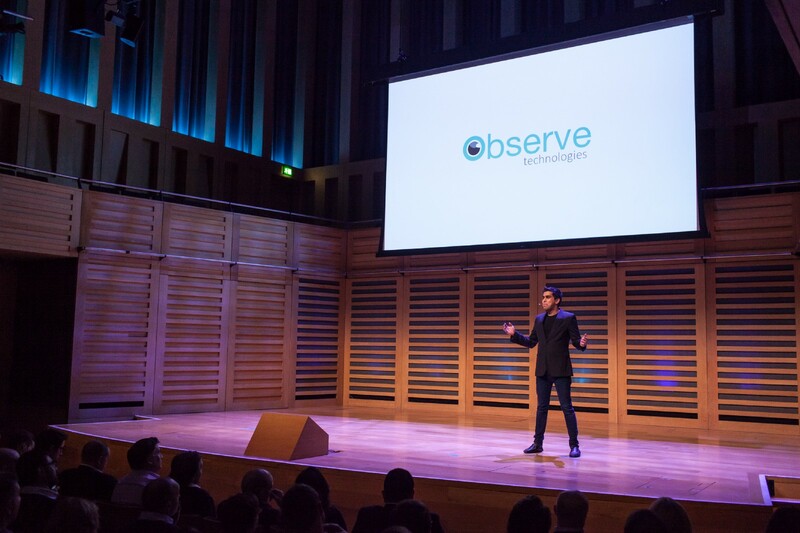 I help build companies from scratch at Entrepreneur First in London. Previously I was a product manager at Google, Yahoo, and Lystable.